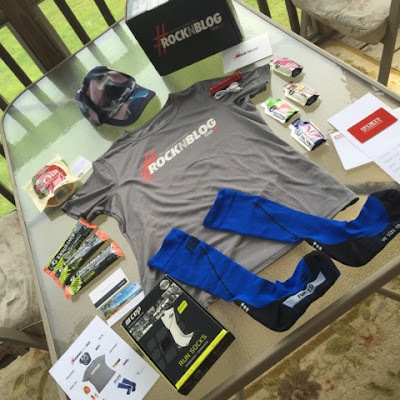 What does one do when you have the MOST FABULOUS Box of Training Goodies show up at your doorstep from Rock n' Roll Marathon Series? This girl goes into Full Heck Yes Ninja Mode. Little things in life make me happy and when a little box is PACKED FULL of goodness, I gotta share it with the world. 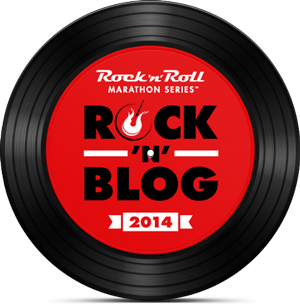 To recap my love relationship with Rock n' Roll Marathon Series...I am one of their Rock n' Bloggers this year and am through the roof excited to be running their Las Vegas and Savannah Races. Holla! I was SO hoping to be able to work Brooklyn into my schedule this year too but it's not looking promising...New York, I'm a struggle! SOS. Lol. As soon I saw the hype on the outside of the box, I knew it was going to be a fun one. For the Love...WHAT'S IN THE BOX?!?! The first thing I saw was a handwritten note from our fabulous leader...Ashley. Love hand-written thoughtfulness. 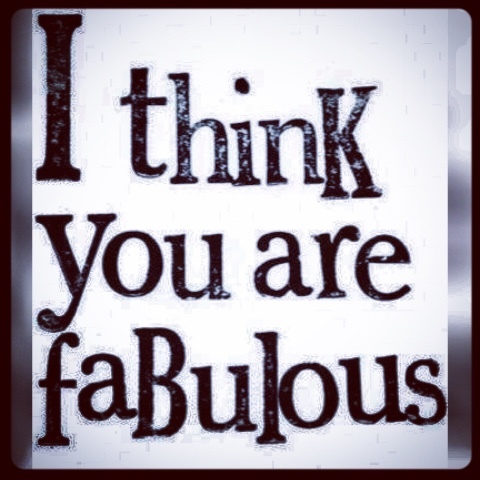 Seriously, I do. 1. 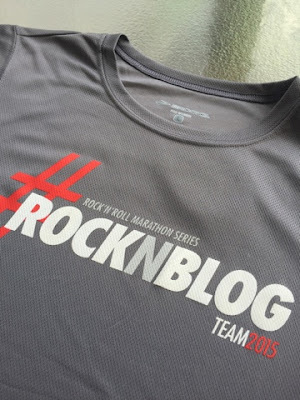 Awesome #RockNBlog tech tee from Brooks. Love this! I'm a fan of grey and gimme any shirt with a hashtag and I'm a #HappyGirl. #ForReal. 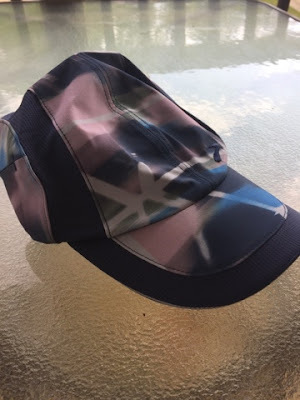 More from Brooks Running....This awesome hat in a cool pattern. I appreciate these colors...navy, pink, grey. So versatile! 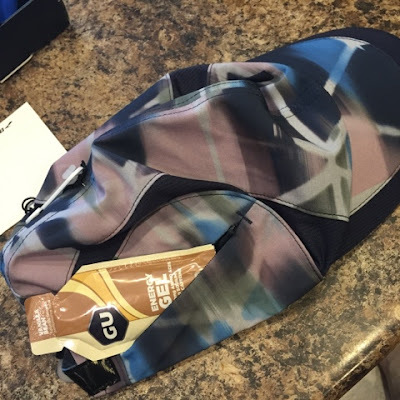 Let's talk about this side zipper....I can put my GU Energy Gel, money, credit card in my hat?!? Brooks...I love you. This brings me to the next item....GU Energy Gels!! These flavors tho. Vanilla Bean, Blueberry Pomegranite, Tri-Berry, Strawberry Kiwi. I've got LOTS of long training miles coming up and these will definitely be put to use!! Thanks GU! Lemon-Lime is my fave flavor. These packages are meant to be added to 24oz. of water. PERFECT size after a long workout. I'm a fan of anything that I can take on the go with me. Thanks Gatorade! 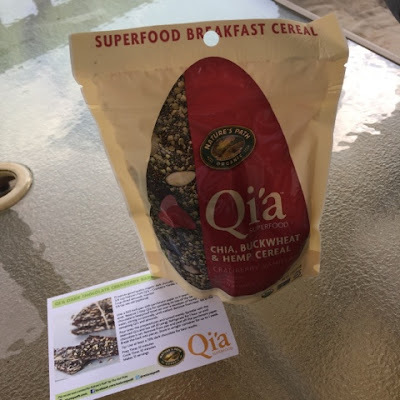 One of the products in our box was a bag of Nature's Path Foods Q'ia Superfood Chia, Buckwheat and Hemp Cereal. I gotta be honest and tell you that I have NO IDEA what to do with this!! But. I'm excited to try it out. So very thankful for the recipe cards that were included. Per the back of the bag...." Enjoy as a breakfast cereal, hot or cold; or add to yogurt, smoothies, oatmeal, or salads for an added nutritional boost." Ingredients: Chia Seeds, Buckwheat groats, Hemp Seeds, Dried Cranberries (cranberries, cane sugar, sunflower oil), almonds, vanilla flavor. Organic. Contains Tree Nuts. Produced in a facility that uses soy, peanuts and milk. Thanks Qia Superfood! This cereal looks AWESOME! Sports Authority Gift Card....Yes Please! You know it's a good day when you receive a gift card JUST BECAUSE. Yep. It's a really good day and I have no idea what I'm going to purchase but I'm going to tuck this away in my back pocket for when I need a cute new tank for a race or something like that. I'm a sucker for cute new race clothes. 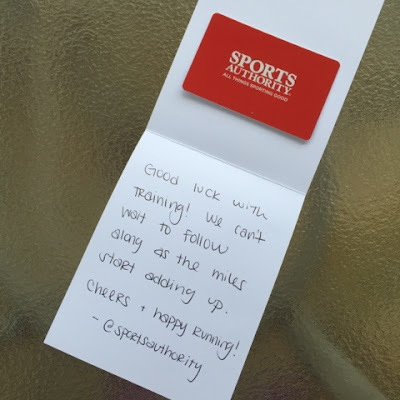 Thank you Sports Authority! 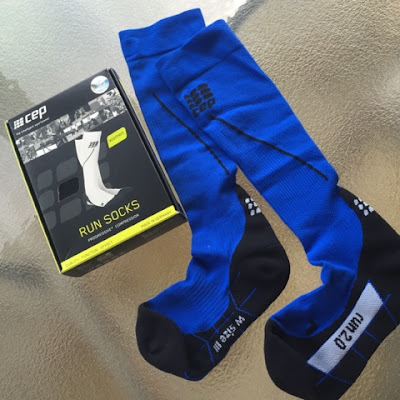 Running Gear Retail Therapy is a girl's best friend! The Maui Jim Discount Card was really interesting to me. 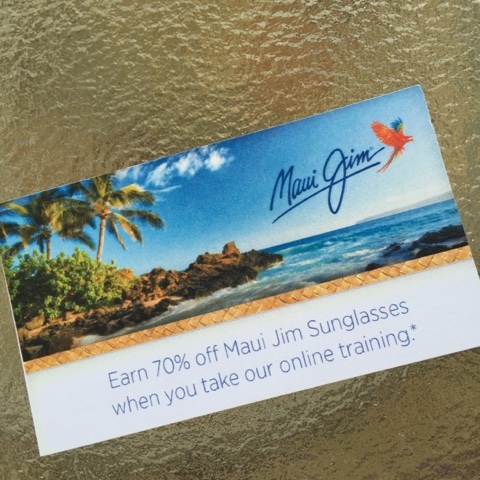 I currently own a pair of Maui Jim Aviators that I run in daily so I realize the value of this card but am curious as to what online training is?!? I'll do the research and if I buy a pair of these...I'll report back!! Thank you Maui Jim....I'm quite certain that this is a FABULOUS DEAL! 35% off Discount from Garmin. 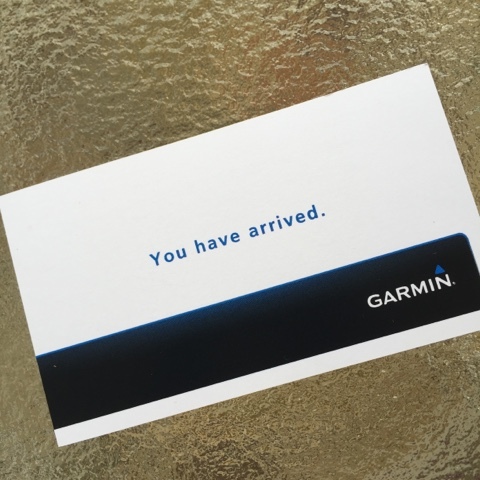 Thank you Garmin for providing this great discount card that I can use for TWO ITEMS....my friends will definitely be pleasantly surprised! Thank you CEP for including a pair of Women's Compression Socks in my size! I received this awesome blue pair....I would have NEVER bought this color in a million years but I'm liking them a whole lot! It's great to try new products in new colors and varieties. I'm going to ROCK them out with a cute skirt or pair of shorts. 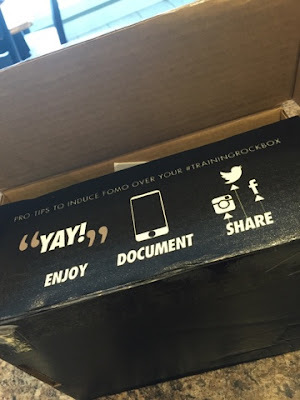 So what is better than a TRAINING ROCK BOX??? A FLAT TRAINING ROCK BOX!!!! 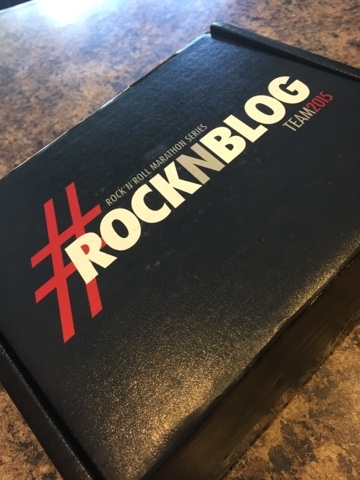 Here is more information about each item in the box and links to all of the FABULOUS sponsors! 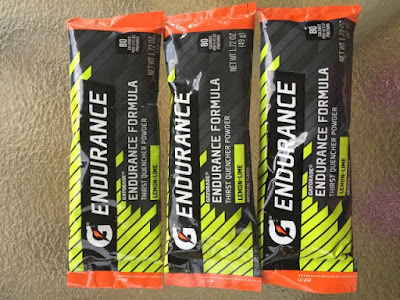 Offer: Get 20% off your choice of Gatorade Endurance products when visitingwww.fuelbelt.com/GatoradeEndurance. Enter code ENDURE20 at checkout. Valid through 9/31/15. Dropping knowledge: Train with GU, race with GU, and recycle your packets! 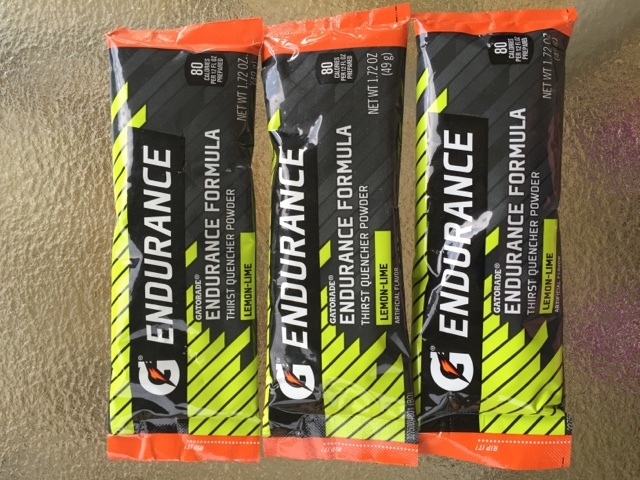 TerraCycle and GU have partnered to create a Performance Nutrition Brigade, a free recycling program for performance nutrition packaging, and a fundraising opportunity for participants. Thanks for your help in keeping sports nutrition OFF the roads and trails by stashing your trash and OUT of the landfills by taking part in our TerraCycle recycling program! 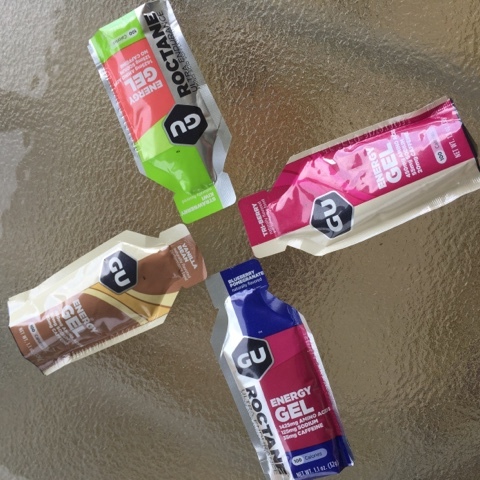 Offer: Save your performance nutrition packaging and bring it to the GU booth at your next Rock ‘n’ Roll expo for your chance to win (2) race-day VIP passes! 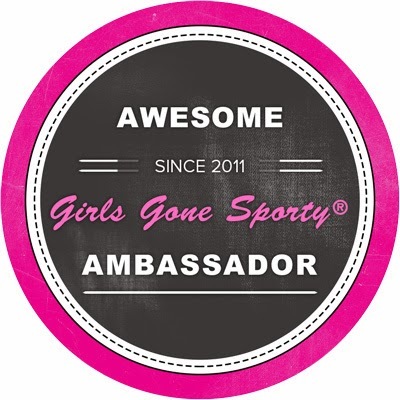 What are you waiting for, #GUforit! Dropping knowledge: Qi’a (pronounced Kee-ah) is our NEW Superfood Cereal made with Chia, Hemp and Buckwheat. This power trio is full of plant-based Protein, Fiber and ALA Omegas. 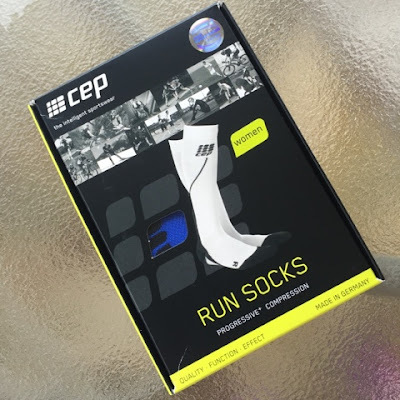 Boost your nutrition after your run with only 2 tbsp. of cereal and feel the energy from this powerful, functional, and nutritious superfood. In the box: coupon for 70% Maui Jim products after taking their online training! Dropping knowledge: Running races, crushing your personal records, and achieving greater results takes planning. By planning ahead, you can reduce worry that something could get in the way. Transamerica is here to help with a variety of solutions from race registration protection to insurance, investments and retirement planning. 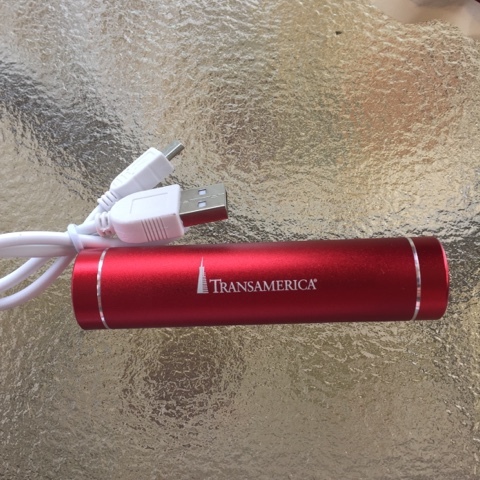 Transamerica helps people plan for a better tomorrow. Explore Products. I wasn't sure if I EVER wanted to post pregnancy pics on my blog but if you are my friend on Facebook, they are there....so why not?!? Well. I'll tell you why not. BECAUSE THEY ARE AWFUL!!!!! Well okay. They are not awful. 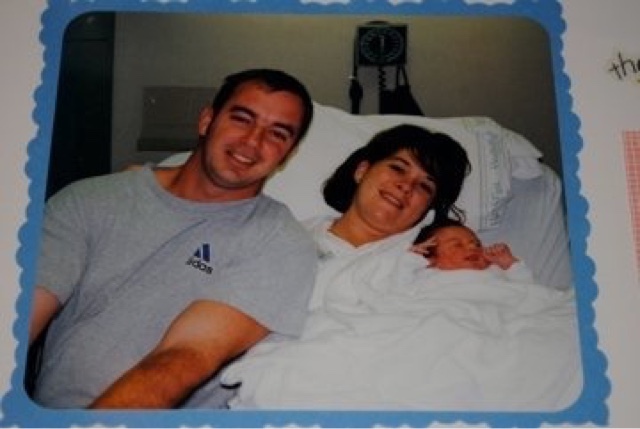 I was pregnant.....but still. I don't want to be THAT heavy again. I want to be Healthy. I am very THANKFUL for these pictures though. I've never thought that I had a real weight loss story before. I workout. I run. I teach group exercise classes. I personal train. I run a Bootcamp. I motivate. I encourage. So when people ask me....."so what's your story?" I just kinda have a weird look on my face. I just always considered myself to fairly consistent when it came to my weight. Going from a size 2 to wearing maternity clothes waaaaaaay after I delivered my babies is NOT CONSISTENT. Looking back on it. 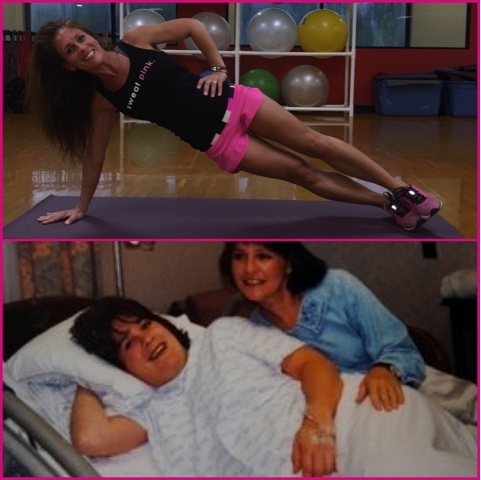 I was delusional, overweight and completely out of shape!!! I have never beat myself up about it though. No need to do that. I gave birth to three beautiful, healthy babies and there is no amount of "skinny" would I ever trade for that. 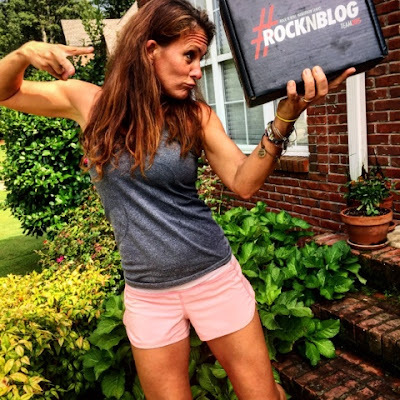 My goal post-pregnancy was to be skinny! Boy oh boy, did I do that!!! I drank Slim-Fast, dropped all of the weight. And then some. I also ended up in the emergency room because I had not eaten in weeks, had not slept and was completely dehydrated.....so stupid. But I was skinny. Yay me. Fast forward 5 years....l was turning 35. My last baby was going to kindergarten. I had not exercised one bit. I decided to run a 5k on my 35th birthday. The rest is Bamagirlruns history! Happy running, happy exercising and Happy Transformation Tuesday...lIf I can do it, YOU can too! Work Hard!! 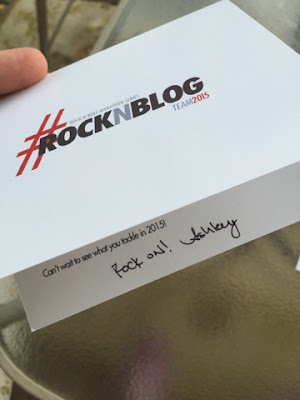 I am beyond excited as I'm writing this post!! I am OFFICIALLY headed to Runner's World Half & Festival Presented by Altra in October!!!!!! 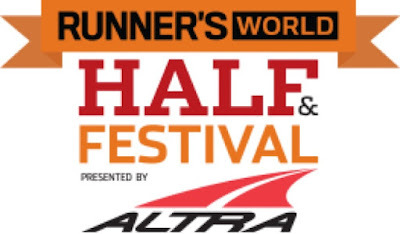 This is a race that I have had my eye on for a couple of years now and I've been invited by Runner's World Magazine to attend. Seriously. I am humbled. I am grateful. I am eternal THANKFUL. 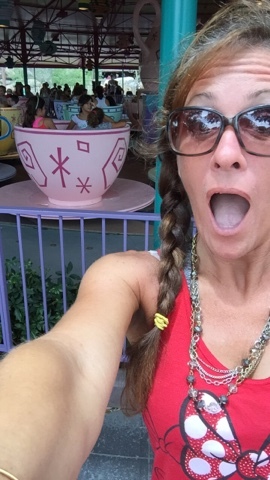 This is my reaction when I received the Happy Confirmation for the RWHalf!!! 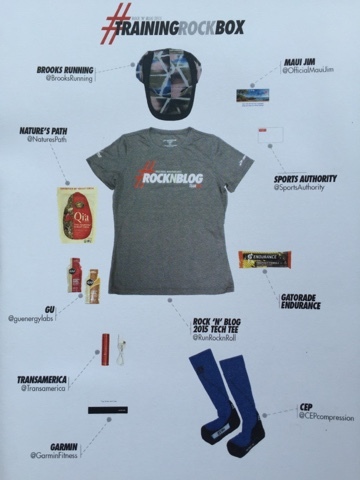 It is NO secret that I love Runner's World Magazine....I even entered the contest to be on the cover!! Crazy longshot dream I know but I entered. You can't win if you don't enter, right?? Back to the race details...This Race will take place the weekend of October 15-18th in Bethlehem, Pennsylvania. I've never visited Pennsylvania before so I'm happy about that too! 2015 continues to be a year of firsts for me. 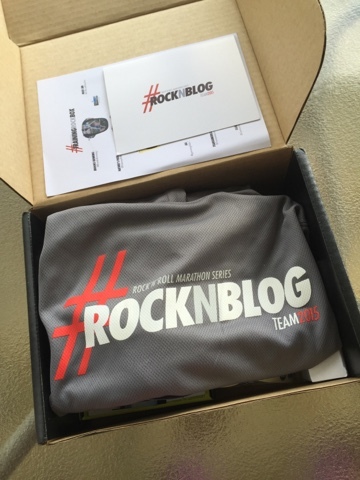 The Race weekend will consist of a 5K, 10K, Half Marathon with a recent addition of a 3.8 mile trail run. 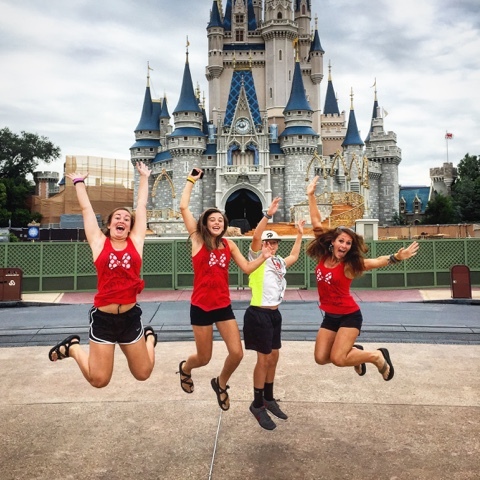 Running 30.2 miles in one weekend?!?! Yes Please!!! 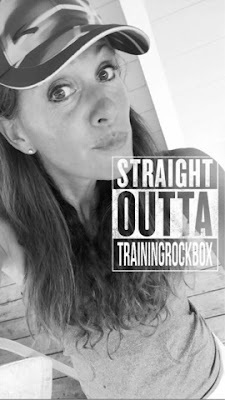 Most people that know me in real life know that I absolutely love to run crazy challenge races. This weekend is right up my running alley. 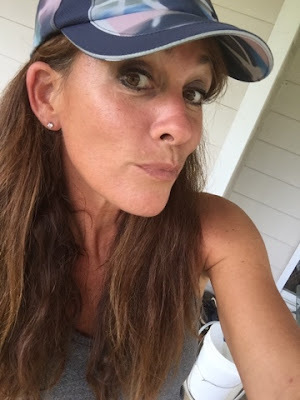 To run the 5 and 10K is considered "The Five and Dime" and to run the 5K, 10K and the Half Marathon is considered "The Hat Trick". There will also be a new name for adding in the trail run....stay tuned because that name has not been announced yet!! SO exciting!!! As if running the races aren't exciting enough, I've heard a rumor that Deena Kastor will be there also. Okay Okay it's not a rumor, IT IS FOR REAL!! Deena Kastor will be running!!! Seriously. I'm just TOO excited for this race weekend. Runner's World has created a special discount code for me to offer to all of my friends! Please use it and COME RUN WITH ME!!!!!! There are so many great things on the agenda for that weekend that I cannot even wrap my brain around how much fun it's going to be!! I'm already planning what I'm going to wear. I need shorts and skirts. I need cute socks. I need cute everything!! Priorities!!!! 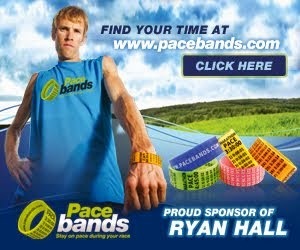 For more information on this race weekend, Please visit www.runnersworld.com/rwhalf. Happy Running and See you at Runner's World Half! !